Here’s one thing I’ve learned since becoming a mom: kids come out of the womb pre-wired for certain things. I remember discussing nature vs. nurture in my sociology and psychology classes back at Baylor and being pretty convinced that nurture was the stronger of the two. And then I had a baby girl who came out of the womb with a love of accessories. And all girlie things, really, and well, that theory went down the diaper genie with the rest of the dirty diapers. The other day I told Wrenn we had to go run an errand and started herding her toward the car. 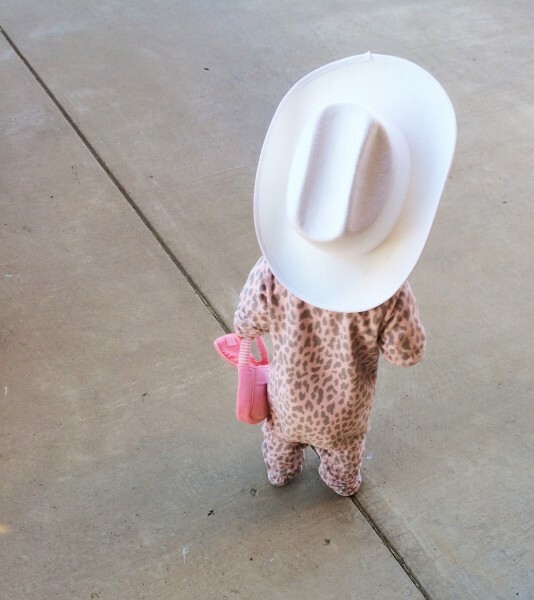 She ran back to her playroom and grabbed her cowboy hat, her purse, and her headband (she doesn’t WEAR the headband, but she likes to carry it around and show it to you). Upon arriving at the dry cleaners, she walked in like she owned the place. She was SO PROUD of her outfit, and the shop owner could barely stifle her laughter. Then, a big, burly man walked in, spotted Wrenn, and he melted all over the floor. 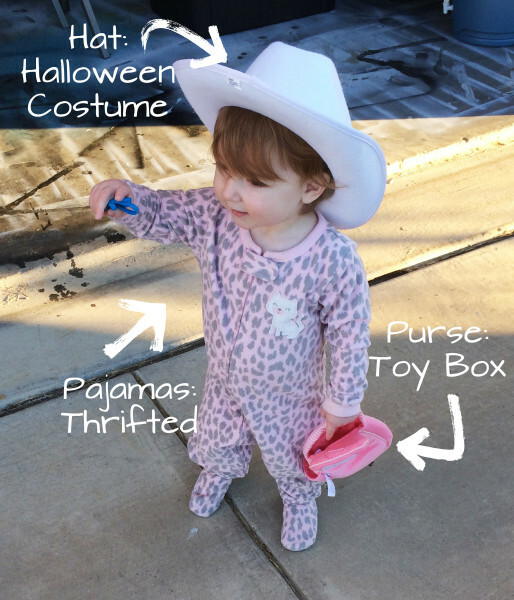 Little cowgirls in pink leopard footie pajamas tend to do that. To everybody. Yeehaw.